Building wealth, like doing anything well, is a process that requires lifelong learning. 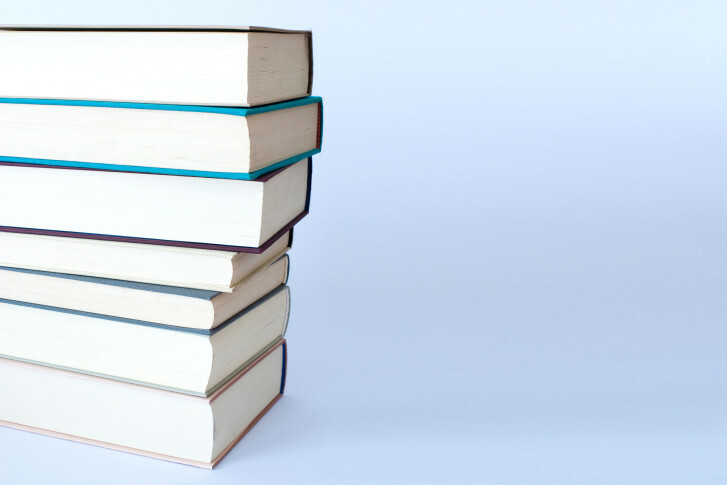 Here are eight good books that cover a variety of wealth-improvement topics. Building wealth, like doing anything well, is a process that requires lifelong learning. Circumstances will change, and unpredictable events may require you to respond in new and different ways. Fortunately, we have easy access to information and advice through an endless supply of books. Here are eight of our current favorites covering a variety of wealth-improvement topics. Having worked with hundreds of executives and entrepreneurs over the years, these seasoned financial professionals bring together their collective expertise in this informative and eye-opening book to help corporate leaders navigate the maze of personal financial decisions with tools for virtually every circumstance and need. By following a fictional couple and their family as they wind through a path of poor financial choices, it becomes evident how important well-structured guidance is for executives and entrepreneurs to achieving positive financial outcomes and reach the goal of all goals — financial independence. This book revolutionizes the corporate mission statement. Cameron Herald shares ideas on how leaders of organizations can energize their teams and create a common vision using a future-oriented “Vivid Vision” that outlines company goals in clear terms. Herald walks organization leaders through the simple steps to create their own Vivid Vision, from brainstorming to sharing the ideas to using the document to drive progress in the years to come. Written by two practicing divorce attorneys, this book provides answers to 350 common questions about divorce in Maryland. The book is an easy-to-read question-and-answer format designed to inform readers about various steps as they go through a divorce. As a certified divorce financial analyst, I appreciate Trafford’s approach in this book. Divorce is not only emotionally stressful, it’s also a process with several phases that may include a challenging marriage, a period of separation, negotiations and finalizing of the divorce. The good news is that after surviving these phases, a new life begins. Trafford provides advice from her own experience and encouragement for the journey from divorce to single life. With more than 41 million Americans now over the age of 65, the question of what is normal memory loss and what is not is on a lot of minds. Drs. Andrew Budson and Maureen O’Connor use real-life examples to instruct readers on how to understand the differences between signs of normal aging versus indicators of potentially more-serious signs of diminished capacity. This easy-to-read book is suitable for anyone who is concerned about their own memory or the memory of a loved one. This groundbreaking guide provides practical advice and inspiration for older adults to have open conversations with their loved ones and articulate their wishes for care as they enter old age. The author was inspired by events in his own family and challenges faced by his parents. This book leads readers through the process of thinking about some of the more challenging end-of-life-care decisions in a sensitive and practical manner and gives them the tools to work with their children as they plan the rest of their lives. As they say, timing is everything. So, when is the perfect time to start a new career, launch a business or get married? Daniel Pink draws these answers and others from research based in psychology, biology and economics rather than intuition. His scientific approach to the question of “When?” gives readers a new perspective and practical approach to improve their chances of success in whatever they choose to do. We hope you enjoy these books as much as we do. Don’t forget to “share the wealth” by passing your favorite wealth-building books along to your favorite people. Dawn Doebler, CPA, CFP®, CDFA® is a senior wealth adviser at The Colony Group. She is also one of the founders of Her Wealth®.